During the 1930's, '40's and '50's, Clyde Beatty enjoyed a celebrity status that, today, we only associate with leading athletes and movie stars. 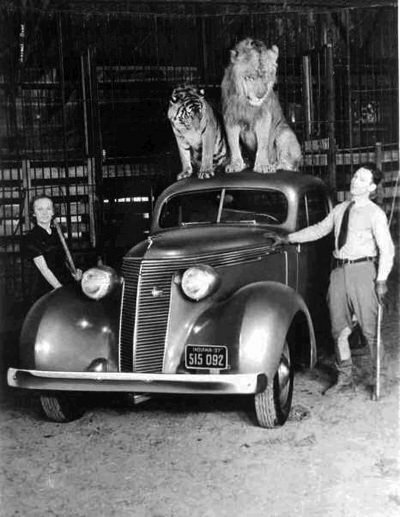 In addition to top billing in the circus world, he was the subject of several best-selling books, starred in a number of hit motion pictures, and was called upon give major product endorsements. His popularity with children was equal to that of Gene Autry, Tom Mix, and Frank "Bring 'em Back Alive" Buck. As a result, there were Clyde Beatty "Big Little" books, comic books, and two cliff-hanger movie serials. Then, in 1950, he was given his own weekly radio show. "The world's greatest wild animal trainer Clyde Beatty with an exciting adventure from his brilliant career. The circus means thrills, excitement, and snarling jungle beasts. The circus means fun for young folks and old. But under the Big Top you see only a part of the story. The real drama comes behind the scenes where 500 people live as one family; where Clyde Beatty constantly risks death in the most dangerous act on earth. This master of the big cats has journeyed to Africa and India, hunting down his beasts in their native jungle. All of this is part of the Clyde Beatty Show. Of the 52 episodes that were produced, 46 still survive in good sound. All of these episodes are "family friendly" and still have the power to hold your interest, even in a world grown jaded by high-energy stories and special effects. Brush with Death (my all-time favorite) is based on Beatty's famous big cage encounter with the male lion Nero that almost cost him his leg and his career. In a rare occurrence, Harriett (Eve McVeagh) takes over as narrator for this episode after Clyde is temporarily put out of commission. Beauty and the Beast (my second all-time favorite) is based on material from Beatty's 1941 book "Jungle Performers" and relates how he taught Harriett to become a wild animal trainer. For a dramatic conclusion, the scriptwriters drew upon another true incident: the time when Harriett filled in for Clyde at the Milwaukee Shrine Circus when he was sick in bed with a cold and high fever. Tiger Escape is basedthe famous incident that occurred when the tigress Gracie escaped from her cage and Beatty had to find and recapture her inside the half completed Detroit Shrine Temple hotel. The Flying Politos is a well-told circus story about a family aerial act that needs to find an immediate replacement for one of its members. The most likely candidate is a son who is away attending college. Although a fine athlete and in top physical condition, he wants nothing to do with the circus. For Children Only pits the Clyde Beatty Circus against some corrupt local politicians who are tying to squeeze the show for graft money in order for it to be able to set up and appear. Hold that Tiger takes place in an unnamed Southern California city (although sharp-eared listeners will soon identify it as being San Diego.) The Beatty circus donates a troublesome tiger to the local zoo, but while it's being delivered, it escapes into the nearby park. Clyde and his cage crew volunteer to go in and recapture it if possible. The Fabulous General Ike is another good circus story about a young homeless boy whom Clyde and Harriett rescue and bring to the show. While working in the horse department, the boy successful trains a horse named "General Ike" and becomes a star performer. Just when everything is going well, the boy's drunken father shows up, expecting to cash in on his son's success. Never Trust a Gilly has a stronger-than-usual story about two con artists who blackmail a young circus worker into helping them rob the red ticket wagon. The Marvelous Marvins is another "behind the scenes" circus story about two male midgets who are hired by the show to present their specialty aerial act. Trouble starts when the two have a serious falling out over a lovely lady midget who is also with the show. Oklahoma Hoax uses a rather original story idea: a town which the Beatty show just played reports that an escaped python has been sighted, and blames the circus. Although none of the show's big snakes are AWOL, Clyde and the snake handler go back to investigate. When they arrive, they discovered that, not only has the python been captured, but it is being exhibited in public by the couple that first reported seeing it on the loose. The King of Clowns has an off-beat story about an eccentric old clown who is either a comic genius or mentally deranged. And if Clyde didn't have enough troubles, a series of serious accidents starts to plague the Beatty Circus. Dangerous Ambition offers a tanbark version of the sorcerer's apprentice: a young cage boy feels that he knows enough to start working Beatty's big cats on his own. Of course, Clyde won't let him, but then, when nobody's around . . .
Canine Courage is the one surviving episode that features a dog based on the real life "Timber," Beatty's pet German shepherd that is mentioned in his 1933 book "The Big Cage." If you're old enough to remember old time radio drama, these shows will bring back a lot of happy memories. For those of you born after the "golden age- of radio, you're in for a special treat. (If you have to make a long daily commute, pop one of these into your car's CD player and the trip will be over before you know it!) However, be warned! Old radio shows are addictive. Listening to just one is never enough, and before you know it, your television set will be covered with cobwebs and your closet will overflowing with shoe boxes filled with assorted old radio shows on CDs and MP3 discs. Happy listening! 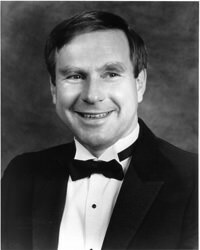 Be the first to comment on "The Clyde Beatty Radio Show (1950-1952)"